A 10th anniversary edition of Alejandro Amenábar's compelling thriller will haunt Blu-ray this fall. 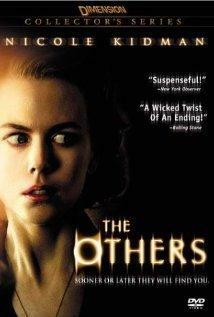 In an early announcement to retailers, Lionsgate is working on 'The Others' for Blu-ray on September 20. This chilling horror film stars Academy Award® winner Nicole Kidman ('The Hours'), one Emmy® winner Fionnula Flanagan ('Four Brothers') and Christopher Eccleston (TV's "Heroes"). Written and directed by Alejandro Amenábar ('The Sea Inside'), audiences are presented with the story of two photo sensitive children and their mother, who believes that her family home is haunted. The film earned a Golden Globe® nomination for Best Performance by an Actress in a Motion Picture (Drama) for Nicole Kidman. The Blu-ray will feature 1080p video, a DTS-HD Master Audio 5.1 soundtrack, and supplements include a behind-the-scenes documentary and a number of featurettes that take a look at the director, the visual effects and an examination of the disease portrayed in the film. You can find the latest specs for 'The Others' linked from our Blu-ray Release Schedule, where it's indexed under September 20.